In case you haven’t been paying attention, the age of the 2-in-1 laptop has arrived. These devices offer the traditional interface of a clamshell laptop yet gives the user the freedom to use a touch screen interface as well as keyboard, and also allows the screen to be flipped around completely so it can be used as a tablet. And they are only becoming more popular. The latest models of 2-in-1 computers–also known as hybrid laptops–are becoming more and more powerful, featuring graphics engines, screen resolutions, and processor speeds that rival traditional laptops. And nowhere is that innovation and push toward ever-higher quality more evident than with Lenovo. 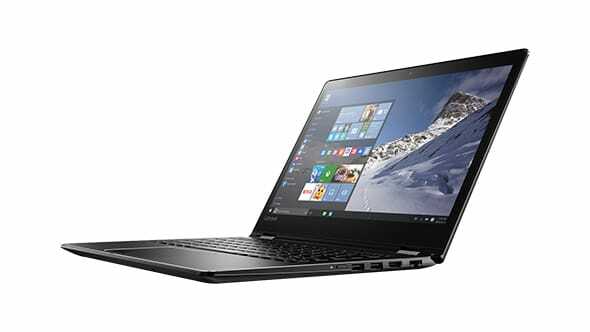 The company’s latest 2-in-1, the Lenovo Flex 4 1470 80SA Signature Edition 2-in-1 PC is a wonder of the class, featuring the latest product innovations–and it is a delight to use. From the full-HD touchscreen featuring a stunning vibrancy of colors to the lightning-fast Intel Core i7 processor, to the AMD Radeon R5 M430 graphics processor, this slim beast packs a mighty punch for a machine so compact. No matter what you want to use it for, whether it be buckling down to finish writing a term paper or a presentation, videoconferencing with overseas clients, shopping, or watching a movie, the Lenovo Flex 4 is, well, flexible enough to suit your needs, much as its name implies. It is metaphorically flexible enough as well as literally flexible; with its 360-degree hinge, the Lenovo Flex 4’s screen allows you to use it like a traditional laptop, flip it into tent mode for watching a video, or fold it back entirely in order to use the device like a tablet. And because the hinge function on a 2-in-1 is so vital to the overall experience for the user, Lenovo has taken the time to develop a truly sturdy, yet smoothly operating one. 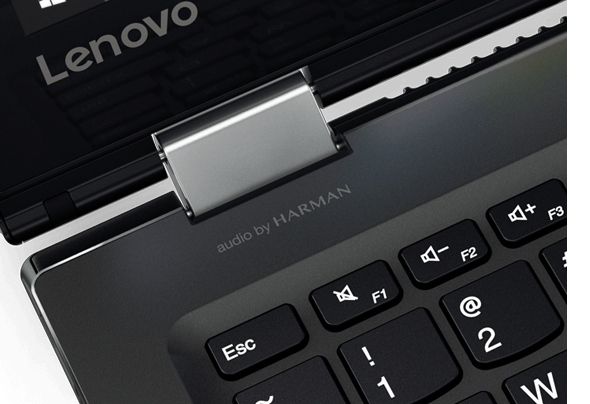 Even after you’ve had it for a while, the Lenovo Flex’s hinge will remain tight yet easy to move. Not only does it perform great, allowing all the flexibility and variety of modes that savvy 2-in-1 users have come to expect from Lenovo, the Lenovo Flex 4 carries all this power in a compact package. It is super slim, less than an inch thick (0.8 inches to be exact). And despite featuring a great 14-inch screen, it weighs in at a mere 3.8 pounds (1.72 kilos), so it won’t break your shoulder as you carry it from appointment to appointment. As mentioned before, the 14-inch full HD display is gorgeous, bringing home a huge range of rich colors and tight graphics, especially for a machine like this–that is to say, a PC that wasn’t designed specifically for gaming. The viewing angles are generously wide, especially for a 2-in-1, a class of PC that has often come under fire for lacking sufficiently wide viewing angles to enable more than one person to see the screen. The keyboard design is generous and user-friendly, featuring a diamond-cut beveled edge surrounding the aluminum palm rest, giving it a sleek, elegant look. 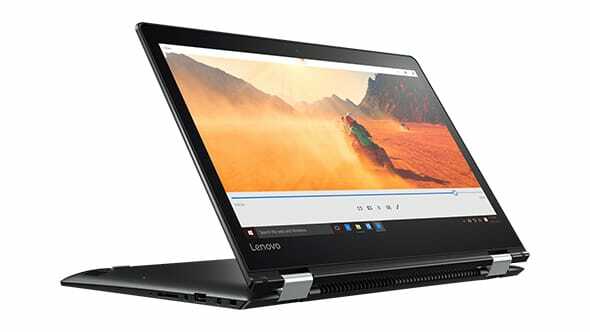 And the Lenovo Flex 4 features a powerful engine under the hood as well in the form of its sixth-generation Intel Core i7 processor, as well as a base design featuring 8GB of RAM and 256 GB of SSD storage. The OS is Windows 10, and if you buy the Signature Edition PC version of this machine from Microsoft store, you can be assured that your computer won’t arrive weighed down with tons of bloatware, junkware, or third-party trialware. The Pros of the Lenovo Flex 4 are its flexibility, the ease of use in switching from laptop mode to tent mode to tablet mode. The ability of the design to stand up and hold its position no matter what angle you set the screen at is a huge plus too. 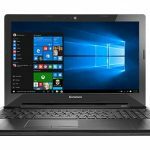 Also, its ultra-responsive 14-inch touchscreen is a delight and will change the lives of people who haven’t experienced the freedom of using a touchscreen laptop. It is full HD, with 1376 x 768 native resolution, delivering sharp, clean images and reliable touchscreen response. It also features admirable memory and processing power, especially for a hybrid. The Intel Core i7 processor combined with a minimum of 4GB of RAM is plenty of power to run everything but the newest games or perhaps heavy video editing. You’d be hard-pressed to find a whole lot not to like about the Lenovo Flex 4. One thing it lacks which is becoming more common in hybrids is an LED-backlit keyboard, but that’s just a bit nitpicky. For a machine in its class–a mid-range 2-in-1–it has plenty of speed, power and graphics for the casual user to a business user looking for a machine to use for teleconferencing and presentations or a student who needs it for research and writing papers as well as watching movies with friends. As mentioned above, it doesn’t have the processing speed to handle the latest games, or heavy video or photo editing, and some may complain about that, but that’s not what machines like this are built for. 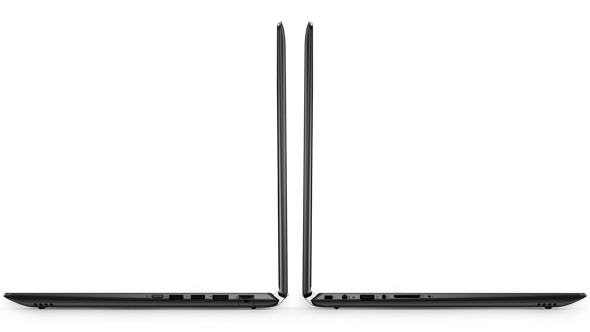 The Lenovo Flex 4 brings a lightness and flexibility to a hybrid that nonetheless feels solid and durable. 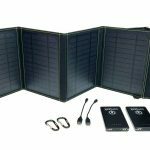 Weighing in at a mere 3.8 pounds or 1.72 kilos, and only standing 0.8 inches tall when closed it nonetheless has a surprising sense of solidity. Because it runs on Windows 10, you can be assured of the latest security measures designed to keep your information and your machine safe. With the latest in identity and access control in the form of Microsoft’s signature multifactor authentication, as well as information protection like BitLocker, and architectural changes that help protect against malware intrusion, the Windows 10 security suite has gained the admiration of reviewers and hackers alike. Although the aforementioned lack of LED-backlighting of the Lenovo Flex 4’s keyboard is a bit of a disappointment, there is plenty to like about these keys. They are slightly larger than past models, with a great response and a comfortable feel that should have even speed typers feeling happy. Also, the touchpad is crisp, responsive, and just the right size. One thing: in order to get that extra space for slightly larger keys, the numeric keypad had to be sacrificed, but if you are someone who uses letters more than numbers like most of us, you are likely to be pleased with the choice that the Lenovo designers made on this. The full HD touchscreen is a wonder to behold, for real, especially for a computer in the class of the Lenovo Flex 4. It is an LED-backlit, anti-glare screen with a native resolution of 1372 x 768 that will give the user a wide range of colors and nuances of shadings not often seen in 2-in-1 computers. And the touchscreen response as mentioned previously is quite good, sharp and accurate, ranking right up there with other models of its type. The audio features Harman/Kardon speakers embedded cleverly in the slim chassis, bringing outstanding quality of audio with deep, rich sound that includes DTS sound for creating virtual surround sound for enhanced movie and music listening. The Lenovo Flex 4 features plenty of ports for whatever you might need for data transfer or porting out to external displays. From two USB 3.0 ports along with one USB 2.0, to a Gigabits Ethernet port, plus Bluetooth 4.1 wireless, to an HDMI out for streaming movies and presentations on the big screen device of your choice, to a 4-in-1 card reader and an audio combo jack, you’ve got everything you need to make the Lenovo Flex 4 your home base as well as your travel computer. The webcam is a serviceable 1MP fixed focus CMOS webcam with 720p capability, that takes great stills and provides crisp, clear video. As noted, the sixth-generation Intel Core i7 processor is more than impressive, delivering a base speed of 2.50 GHz with Turbo Boost technology that bumps that number up to 3.10 GHz. 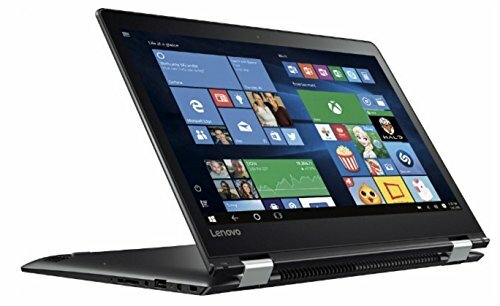 Backed by a minimum of 4GB of DDR4 RAM running at 2133MHz–you can order models that come with 8GB or 16GB–the Lenovo Flex 4 is capable of running lighter games, photo editing software, numerous tabs on your browser, and of course multimedia software and webcamming applications without a hitch. For a hybrid–or even for an entry-level laptop–you could do much worse at this price point. Powered by AMD’s Radeon R5 M430 with 2GB of graphics memory, the graphics on the Lenovo Flex 4 are impressive to say the least. From seamless video playback to sharp gaming movement to glitch-free videoconferencing, this machine’s graphics are right up there with the best of its class. The Lenovo Flex 4 is a lovely slim device, but rest assured that the Lenovo team doesn’t skimp on battery life in order make it so. The 3-cell, 52.5 WHr battery is sufficient to provide up to 8.5 hours of local HD playback, impressive by any measure. Runs on a Windows 10 OS, but also comes with Lenovo’s Photo Master, a lightweight photo editing suite. Warranty is standard. If you are in the market for a mid-range 2-in-1 that won’t break the bank yet will still provide a top-notch user experience, look no further than the Lenovo Flex 4. With a price point that starts in the mid-$499 range attached to a machine sporting this much power, all packed into a sleek, slim, lightweight chassis, you are unlikely to find anything even comparable.